You are my man! It works like a charm! Thanks – worked a treat. This was for a shrink and had the same error message. Didn’t work for Windows 10, still having issues. It’s amazing !!! 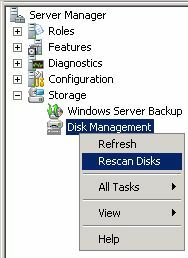 It works with 2 rescan Disks. Thanks a lot, this is the best solution without installing unsafe softwares.